Besides the parish church erected in 1874 is the brick chapel at the cemetery. 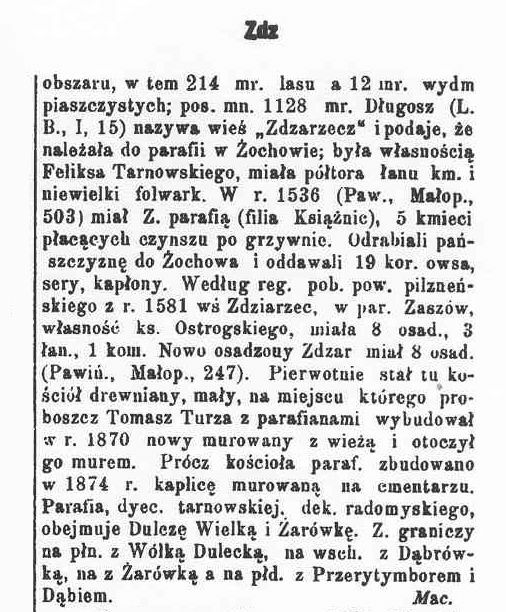 This parish, part of the Diocese of Tarnow and decanate of Radomysl, consists of Dulcze Wielka and Zarowka. Zdziarzec borders with Wolka Dulecka on the north, Dabrowka to the east, Zarowka on the west, Przeryry Bor and Dabie to the south.